Born July 22, 1969, Jason Becker is a neo-classical guitarist who achieved fame at age 16 as a technical virtuoso and guitar prodigy. As part of the Mike Varney-produced duo Cacophony (with Marty Friedman, who later achieved fame in legendary thrash metal band Megadeth), Jason released two albums: Speed Metal Symphony (1987) and Go Off! (1988). He also released a solo album titled Perpetual Burn in 1988. As part of the Mike Varney-produced duo Cacophony (with Marty Friedman, who later achieved fame in legendary thrash metal band Megadeth), Jason released two albums: Speed Metal Symphony (1987) and Go Off! (1988). He also released a solo album titled Perpetual Burn in 1988. Now aged 20, he was asked to join David Lee Roth's band and recorded A Little Aint Enough (1990). Unfortunately while gearing up for a 1990 tour, he began to feel weakness in his hands and legs. He was soon diagnosed with amyotrophic lateral sclerosis (ALS - aka Lou Gehrig's Disease) and had to depart from the tour. The album he featured on went gold and is often thought of as one of David Lee Roth's finest solo albums. A few years later, Becker released Raspberry Jams (1999) and Blackberry Jams (2003), the first containing various unreleased demo-tracks and the latter being demo-tracks which were later reworked and published in other albums. Like many neo-classical guitarists, he studied the works of violin prodigy Nicolo Paganini. Becker's rendition of Paganini's 5th Caprice is a good example of his guitar mastery. 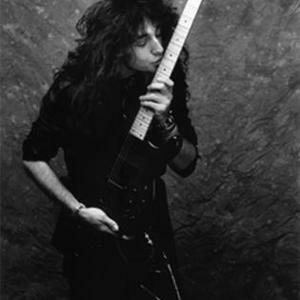 Jason grew musically with Marty Friedman, with whom he co-wrote many songs and by whose sense of melody he was influenced while spurring him to greater heights of guitar technique. Their harmonisation-by-ear melody lines remains their trademark. After feeling the ravages of ALS, Becker embraced spirituality, which has helped him deal with his disease. Although ALS quickly robbed him of his ability to play guitar, to walk, and even speak, he still remains mentally sharp and through the aid of a computer, continues composing music through the help of other musicians; in this way he has released Perspective (1996). He accomplishes this with a combination of a computer or a system of using his eyes to sign letters and notes. Now in his 30s, his medical condition has remained stable since 1997, which is rare for ALS. Two tribute albums have come out for Jason Becker, featuring many guitarists playing his songs. The albums profits were sent to Jason to help him with his disease. Jason and his friend, actor Matt Schulze are planning a movie about his life, tentatively titled Mr. Tambourine Man. According to Jason's official website, Fender and Charvel are going to make guitars for the movie and are planning to release a number of them to the public. Jason has recently compiled a new CD, "Collection", released in 2008 on Shrapnel Records. It features 3 new songs which are performed by Steve Hunter, Greg Howe, Micheal Lee Firkins, Steve Vai, and Joe Satriani to name a few.